India is a land of diversity. Each of its nooks and corners is the product of a deep-rooted culture. This 9-day voyage from Munger to Kolkata involves familiarizing you with India’s ethnicity and its rich heritage. Our luxurious ship will complement this fascinating experience and leave you with a bundle of pleasant memories to cherish. Arrive at Munger, one of the largest and the most industrialized cities of Bihar. Board the RV Bengal Gangain this hub of railway, gun, tobacco and dairy product manufacturing. The night is for relaxation. Following breakfast, the ship departs to Bihar School of Yoga, founded by Satyananda Saraswati. The ship then sails to Bhagalpur via Sultanganj. 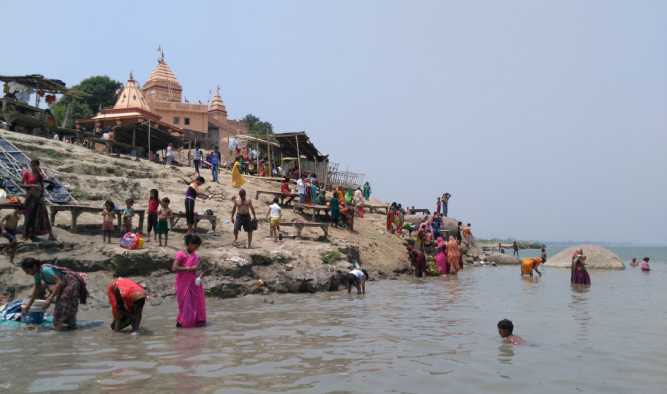 Sultanganj houses two great granite rocks - crowned by a mosque and a 16th century Ajgaibinath Shiva Temple. The ship sails to Bateshwarsthan. After breakfast, hop onto a jeep or car to visit the 8th century ruins of Vikramshila University established by King Dharampala. This was one of the most important centres of Buddhist learning in India, other than Nalanda University. After, the ship sails to Samtaghat to moor for the night. The ship sets off towards the Farakka Barrage, which regulates the flow of the Ganges into Bangladesh. Around noon, the ship crosses the Farakka Lock Gate. 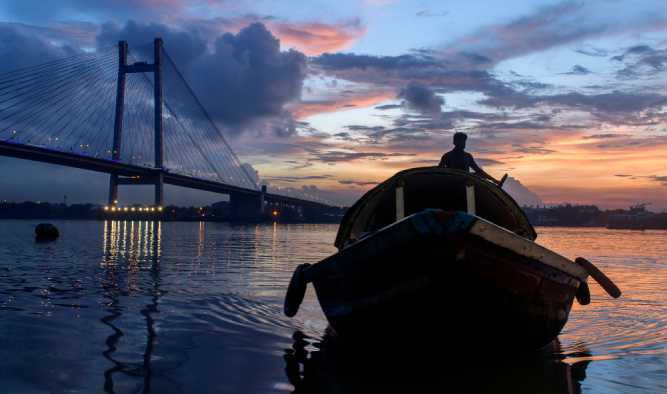 It then passes through the connecting Feeder Canal (known for its beautiful birds) to the Bhagirathi-Hooghly River (the Lower Ganges) and eventually heads to Jangipur. The day starts with a journey to Murshidabad. Explore the Hazarduari Palace Museum after lunch. Commissioned by Nawab Nazim Humayun Jah, it reflects the Greek Doric style of architecture. Facing an enchanting Imambara, the museum houses a wide collection of antiques. We then tread back to the ship through the market. After breakfast, ride a tonga to visit Katra Mosque, Murshidabad’s oldest mosque. It was built by its first Nawab, Nawab Murshid Quli Khan. Later, the ship proceeds towards Matiari, sailing past Plassey – the site of a 1757 battle, where Robert Clive defeated the Nawab, establishing his company’s rule in India. Visit Matiari, a village which is famous for its brass and copper work. Pick a few souvenirs here. Next stop is Kalna. It houses temples - Nabakailas and Pratapeshwar - inspired by architectural elements of mosques. The ship sails further to Bandel at night. After cruising through the vast countryside of Bengal, the ship sails towards Kolkata, with its numerous remnants of European settlers. An orientation tour takes place after lunch. Explore the city’s landmarks such as Writer’s Building, High Court, Raj Bhawan, Town Hall and the Reserve Bank of India. Also see St. John’s Church and Victoria Memorial. After a healthy breakfast, disembark the ship for transfer to the airport.